G.M.Rao, Group Chairman, GMR Group,Bangalore. Vel Tech Dr.RR & Dr.SR Technical University Convocation was an event of nobility and grandeur. G.M.Rao, Group Chairman ,GMR Group was Chief Guest and delivered the Convocation Address and distributed gold medals and degrees to 1110 graduands. The Board of management of VelTech University conferred ( Honoris Causia) Degree of Doctor of Science on G.M.Rao for his outstanding contribution to Airports, Energy, Highways and urban infrastructure industry ,exemplary value based leadership and ethical business practice. GMR Group is a Bangalore headquartered global infrastructure major with interests in Airports, Energy, Highways and Urban Infrastructure sectors. Founded in 1978, the Group is well diversified and professionally managed. Employing the Public Private Partnership model, the Group has successfully implemented several iconic infrastructure projects in India. In the Airports sector, GMR Group operates India’s busiest airport, the Indira Gandhi International Airport in New Delhi, where it has built a brand new integrated terminal T3. It is the biggest terminal in India and one of the largest in the world. Today Delhi airport is the 4 th best airport in the world. The Group has 15 power generation assets. Vice chairman Dr.Sagunthala declared open the convocation ceremony. G.M.Rao in his convocation address stated that being alumnus of the prestigious VelTech University the planet will be your playing ground. Your degree confers an ever greater responsibility upon you. He appreciated the Founders and Board of Management of VelTech University for the multifaceted development and progress in different fronts. He stated that good governance, healthy academic practices and unstinted focus on research & industry requirements, the university has made significant progress towards academic and research excellence in many disciplines.He also advised students that the time and place that is India is perfect for you all. India will soon become the 3 rd largest economy in the world and No multi national company can be absent from India ,many Fortune 500 companies have started centres of excellence already in India. He shared with students key learning from his life journey namely transcend out of your comfort zone and reach higher planes of life and nurture core values like humility and positive attitude. Vice Chancellor gave a brief capsule of significant developments that took place in the University. Award of 24 Major Research Projects to the tune of Rs. 16.5 Crores after being qualified through a national peer review by many Government agencies and complimented by the publication of about 1613 research articles in peer reviewed national and international journals with a good impact factor is a testimony to this perception. The University continues to collaborate in academic and research with more than 155 Government / Private Research Institutes through mutually agreed MOUs. University has Industry linked M.Tech Programmes 3 with ARAI, 9 with CDAC and 1 with FCRI. We have human resource exchange and research agreements with reputed foreign Universities in U.S.,U.K, France, Germany, Singapore, Mexico, Malaysia, China, Japan etc. University has established a Research Park with the capacity to accommodate more than 80 labs and already 16 labs occupied by various industries to initiate and execute joint R& D between Industry and University. It is a gratifying occasion to witness 1110 students graduating from various disciplines during this year. VelTech University also conferred Honoris Causia Doctor of Science on Padmashri Dr.I.Sathyamurthy , Director Cardiology, Apollo Hospitals for his outstanding contribution to humanity. Mr.Pattabiram ,Head Accreditation ,TCS and member of Board of Management of the University and other Boards members ,Directors , Vice President Mr.Kishore and Chairperson of the governing trust Mrs.Mahalakshmi participated in the event. In the afternoon session G.M.Rao had an interactive session with students of VelTech University and three engineering colleges of VelTech group – VelTech Multitech , VelTech HighTech and VelTech . G M Rao, a Mechanical Engineer, is the Founder Chairman of the GMR Group, the Bangalore based global infrastructure developer. He entered 28 businesses as a serial entrepreneur and exited most of them with the opportunities thrown up by the opening up of the Indian economy in the early 1990s. As a part of the post-liberalization generation of entrepreneurs, his moves became entirely strategy driven and long term. Eventually, his single-minded focus on the core infrastructure sector resulted in the Group exiting some of the highly attractive businesses of banking, insurance, software, breweries, jute and sugar. Over the last 35 years he has successfully established GMR Group, as one of the most recognized brands in the country, creating national infrastructure assets of global scale and world-class quality, creating new benchmarks. The Group is now a well diversified and professionally managed infrastructure developer with focus on Airports, Energy, Highways and Urban Infrastructure including SEZs.Few of the landmark projects of the Group are India’s first Greenfield Airport in Hyderabad, India’s first barge mounted power plant of 220MW, Delhi International Airport among many others. While business grew rapidly, G M Rao laid special emphasis on long term sustainability by focussing on institution building for perpetuity as well. TheGMR Group Vision states “GMR Group will be an institution in perpetuity that will build entrepreneurial organizations making a difference to society through creation of value”. A set of seven core Values & Beliefs was arrived at, to define the GMR Group’s distinct organisation culture. This was further strengthened by a Code of Conduct for all employees, emphasizing on ethical and professional behaviour. Rao believes that “Family must be run like Business and Business must be run like Family”. So he made the pioneering effort in formulating a Family Constitution taking expert opinion from world renowned consultants. This is now formalized into a legal document, with all immediate family members including spouses as signatories. G M Rao’s vision in 3 dimensions of business building, institution building and family governance has a 4th dimension built into it, that of giving back to society. This, he started very early on, in his career. Eventually, he set up an independent, professionally run, company, GMR Varalakshmi Foundation,to channelize ever increasing flow of funds, for social causes, for the benefit of the under-served in society. Today, the Foundation is active in 22 locations in India and Nepal and its 4 areas of activity are education, healthcare, livelihood and community development and it has received wide national recognition for its impact in the sections of society it serves. He was conferred with the honorary Doctor of Laws by York University, Toronto, Canada in 2011, the honorary Doctor of Letters by the Andhra University, India in 2010and honorary Doctor of Letters by the Jawaharlal Nehru Technological University, Hyderabad, India in 2005. He received the award for the ‘First Generation Entrepreneur of the Year’ from CNBC TV18 in 2009. In the same year, he received the Infrastructure Person of the Year award at the Infrastructure Journal Award Ceremony held in London. He was also chosen as the ‘Entrepreneur of the year’ at the Economic Times Awards for Corporate Excellence 2006 – 07, apart from numerous other awards and public recognition throughout his career.He was nominated on the very prestigious Central Board of Directors of Reserve Bank of India (RBI) in September 2011. Dr. I. Sathyamurthy, Director Cardiologist, Apollo Hospitals, Chennai. Dr. Sathyamurthy completed MBBS from Government Medical College, Aurangabad, Maharashtra in 1971, passed MD in General Medicine in 1975 from the same college. His quest for further knowledge made him pursue DM in Cardiology from G.B.Pant Hospital, New Delhi and Delhi University awarded DM (Cardiology) in 1980. Dr. Sathyamurthy underwent post-doctoral training in Interventional Cardiology in St.Francis Hospital, Illinois, USA in 1988, Abott’s Northwest Hospital, Minneapolis, USA in 1991 and also from University of Rouen, France in 1997. After completion of his higher studies in Medicine, Dr. Sathyamurthy joined CMC Hospital, Vellore, Tamil Nadu as a Senior Lecturer and was promoted to a position of Reader in Cardiology in quick succession. In 1984, Dr. Murthy moved on to join Apollo Hospitals, Chennai as a Consultant Cardiologist and presently is the Director, Department of Cardiology at Apollo Hospitals, Chennai. In his vast academic experience, Dr. Murthy has put in a total of about 32 years of teaching experience at G.B.Pant Hospital, New Delhi, CMC Hospital, Vellore and in Apollo Hospitals, Chennai. Presently, he has been involved in teaching Dip. National Board in Cardiology at Apollo Hospitals. During this period of academic excellence, Dr. Murthy along with other colleagues published a hoping 218 publications and contributed 22 times to scientific newspaper columns. He participated in several national and international conferences; presented 52 papers and chaired sessions and symposia. Dr. Murthy has also contributed a chapter in the API Text book of Medicine. In his illustrious career, Dr.Murthy has taken up number of professional assignments at national and international level. He has been a fellow of American College of Cardiology (FACC) in March 2002, FRCP (Edinburgh) and FRCP (Glasgow) in 2007. Dr. Murthy was a Member – Guidant Corporation International, Member – Abbott Vascular International, Member – Elsevier Clinical Advisory Board (India), Examiner – D.N.B (Cardiology), National Board of Examinations, Ministry of Health, New Delhi, Honorary Consultant – Armed forces Medical Services, Adjunct Professor of Cardiology, Dr. M.G.R Medical University, Chennai, Adjunct Professor, School of Medicine, University of Queensland, Australia, Consultant Cardiologist, ONGC, Indian Airlines, Independent non-Executive Director, Aurobindo Pharma, Hyderabad. Dr. Murthy has been the life member and fellow of many of the Foreign and Indian societies in the field of Cardiology and served in the capacity of Member, Associate Editor of several journals of repute in Cardiology. He has been a Member of Editorial Board of Indian Heart Journal of API, Cardiology Today, The Heart and Asian Edition of Journal of American College of Cardiology and was honorary Cardiologist to the former President of India H.E. Shri K.R.Narayanan. The Indian Congress Association appointed him as an expert of the selection committee member for selecting the recipients of C.V.Raman Birth Centenary Award, Dr. S.S.Bhatnagar memorial award, D.S.Kothari memorial award and G.P.Chatterjee memorial award. Dr. Murthy also takes interest in various social activities. He has been Trustee, Balavidyalaya Trust for young deaf children, Honorary Vice Chairman, Bharat Cultural Integration Committee, Editorial Advisor, AIMS Education, Honorary Cardiologist “Idhaayam Kaappom” scheme – free coronary bypass surgery scheme under the auspices of Dr.M.G.R Trust. For his efforts in social service, Dr.Murthy received “For the sake of Honour” award in 2002, “ Vocational Excellence” award in 2003, “Honorary Paul Harris Fellow” in 2004 followed by “ Life Time Achievement“ by Rotary Club in 2013. In recognition of his pioneering efforts in Cardiology, Dr.Murthy earned several orations, awards and gold medallions. Dr. Murthy was conferred with PADMA SHRI by the President of India in January 2000. He was awarded with prestigious Dr. B.C.Roy national award for the year 2001 for development of specialty of cardiology. 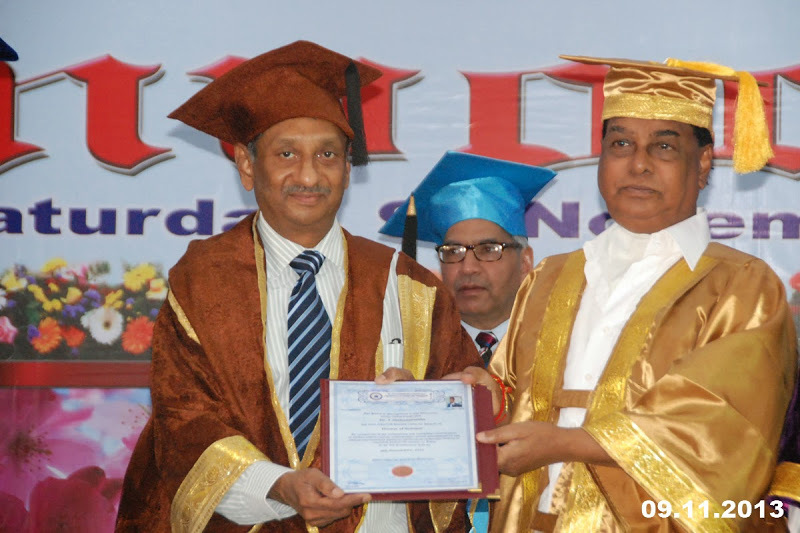 Dr. MGR University awarded D.Sc (Honaris Causa) in September 2008 followed by best doctor award in September 2011. Tamil Nadu State Council for Science & Technology selected Dr. Murthy for State Scientist Award in Medicine in 2010.